These are so simple, healthy and always go down a storm. 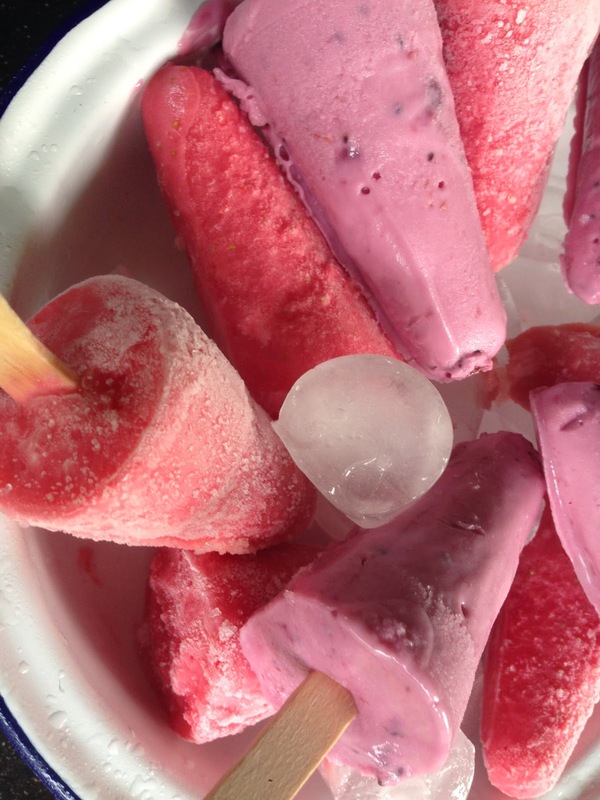 They can be made well in advance and sneakily hide in the freezer until the summer heat becomes all too much and you need an immediate cool down! They are also a great way of using up spare fruit either from the garden, left over jams or just those extra strawberries that are ageing in the fridge. I use total Greek yogurt for the base. This is a great yogurt and one of the best for you that is available. It's packed full if protein (keeping you fuller for longer) and doesn't have any nasties. Quantities are a bit lacking for this recipe. 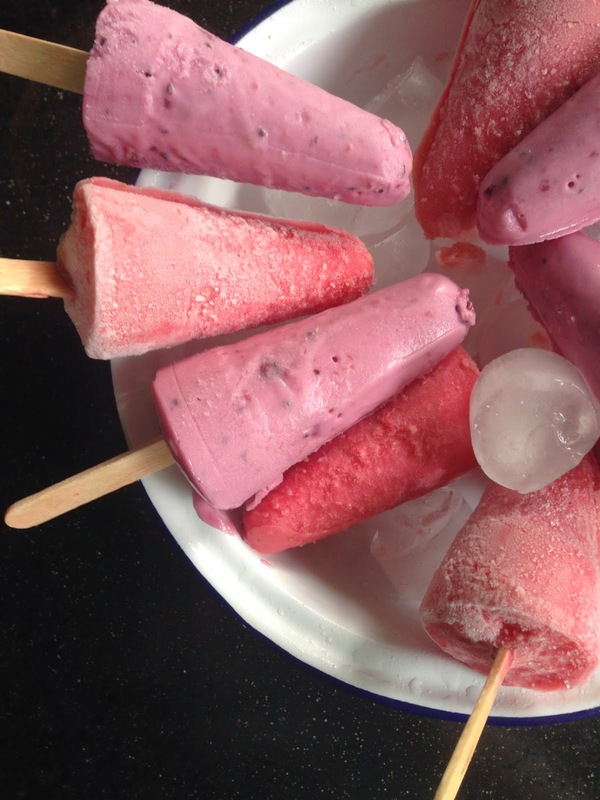 I tend to just use up everything I have in the fridge, fill my lolly makers and then save the rest for a morning smoothie. Put plenty of yogurt and then your choice of left over jam (I used some blackcurrant) or some fresh fruit. If you use just fresh add some honey or maple syrup to keep them sweet. Natural sweeteners are always a better option than sugar for these. 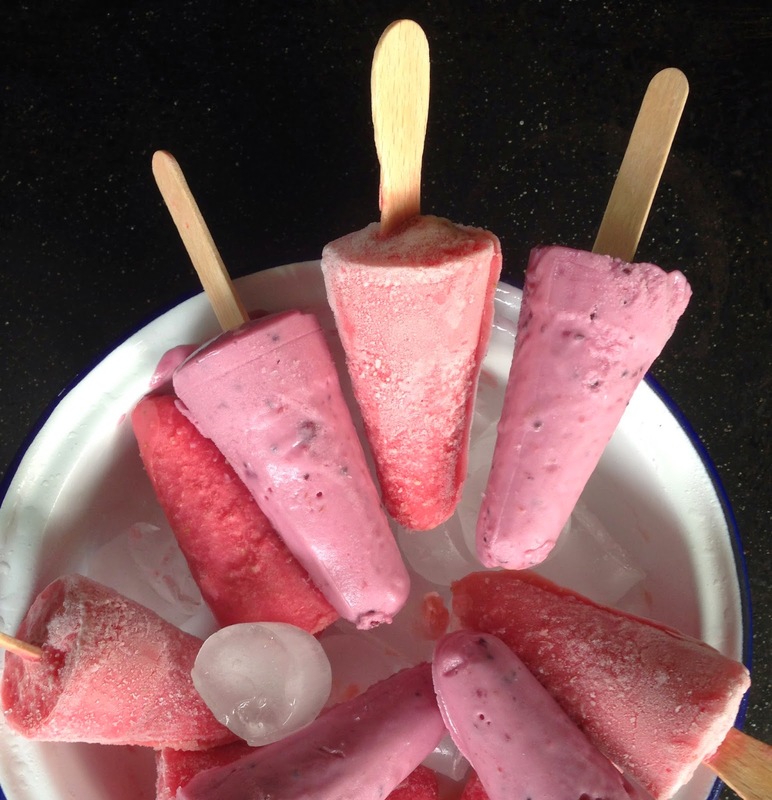 Leave them in the freezer for a few hours before dipping the lolly holder into cool water to release the lollies and enjoy (they will last a good 3 weeks too )if you want to smugly hide them away until it gets really blistering again .